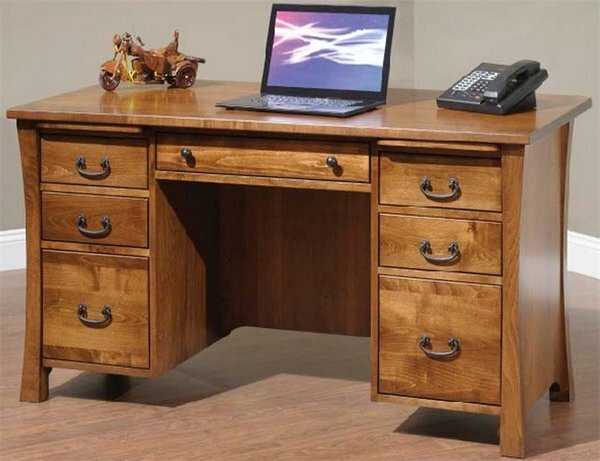 The Amish Woodbury Executive Desk is a solid wood executive desk that comes in either a 60" or 72" width. It comes with a finished back with an eight inch overhang on the back of the desk. The curved legs add a fashionable flare to a very professional looking desk. An executive desk must include all the features to support a productive day and the Woodbury supplies them all.